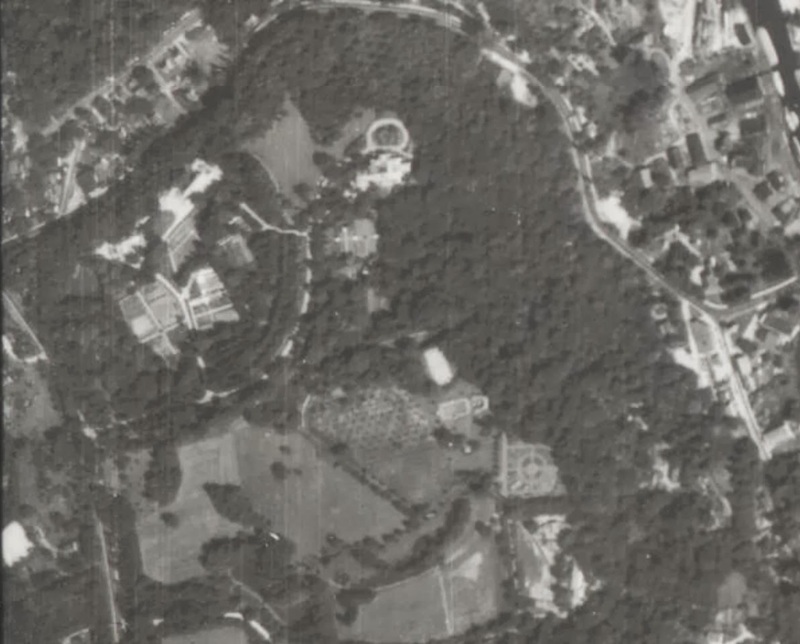 A 1938 aerial of 'Waldene', the Walter G. Oakman estate designed by Grosvenor Atterbury c. 1900 in Roslyn. Click HERE and HERE for more on 'Waldene'. Photo from Stony Brook University's Digital Archive. Every time this estate gets a new posting it gets more impressive. I always loved this place and I am saddened it didn't stick around. The farm group exists as a day school but that's all that's left of it. Also one of a pair of attractive service residences seen in the aerial on the northern fringe also survives. Both were intact until 15+/- years ago when one was rebuilt.